The U.S. Fish and Wildlife Service (FWS) added a rare jumping mouse living on the river banks of New Mexico, Colorado and Arizona into its ever-growing list of endangered species. The New Mexico meadow jumping mouse is now protected under the Endangered Species Act as ordered by the FWS, which says that the mouse is at an "elevated risk of extinction" due to cattle grazing, wildfires and drought and needs "significant conservation intervention." The FWS still has not issued a final statement on declaring a critical habitat for the endangered mouse, but it has called the move "prudent." Last year, the FWS proposed to elevate the mouse's status to endangered and was examining more than 14,000 acres along the banks of streams and rivers in the three states where the mouse is found as a critical habitat. Around 6,000 acres are found in Arizona's White Mountains in Greenlee and Apache counties. However, ranchers in these often drought-stricken areas may are not happy with the news, saying fencing off thousands acres of grazing land for a single species will force them to abandon their grazing plots. "Once again, the U.S. Fish and Wildlife Service chose to cater to big-city radical special interests instead of protecting our jobs, and ignored the fact that conservation and economic growth are not mutually exclusive," says Congressman Steve Pearce in a statement. "FWS failed to recognize that its own policies - which have stopped timber harvesting and forest thinning - are to blame for the raging wildfires that threaten the mouse." 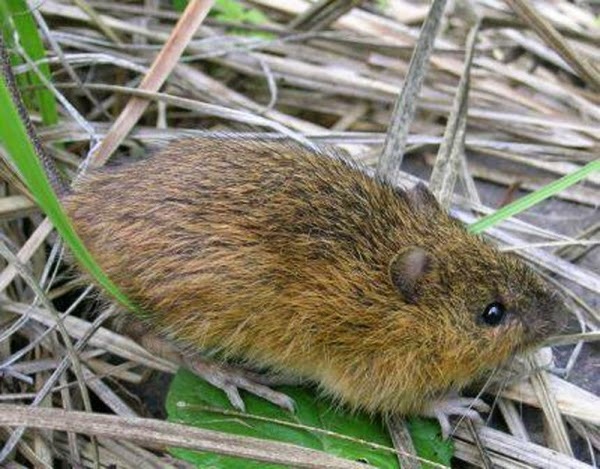 Conservationists are pushing government agencies to protect the meadow jumping mouse, saying that leaving the mouse to fend off for itself in not-so-optimal conditions and letting it go extinct will disrupt the overall food chain. "Mice are part of the food chain across the entire ecosystem," explains Jay Lininger, senior scientist at the Center for Biological Diversity. "They're a highly sought-after food source for a variety of snakes, foxes, and birds like redtail hawks. The entire food chain suffers if the jumping mouse blinks out." Lininger also adds that there is no reason for ranchers to abandon their livestock because they can easily pipe the water from the mouse's riverbank environment to outside the critical habitat where the cattle can water. At the moment, the less than 30 populations of meadow jumping mice, which have "exceptionally specialized" habitat requirements, occupy only 12 acres of land, says Lininger. Nourishment is critical to the mouse, which lives on insects and seeds that can only be found in riparian environments, because it hibernates most of the year. It only has three to four months to mate, breed and raise its offspring before it goes into hibernation once again. The meadow jumping mouse has a life span of three years and can produce a litter of seven each year. This, coupled with the grazing, wildfires and droughts, gives the mouse a slim chance at survival.